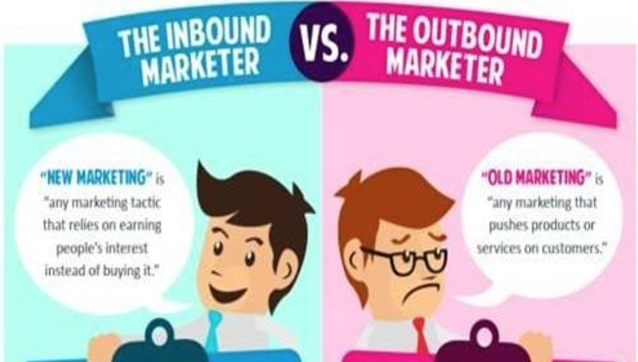 HubSpot: What is Inbound Marketing? Do you want to turn strangers into customers and promoters of your business? Traditional marketing and buying behaviors of customers has drastically changed over the years. Marketers have learned that interruptive outbound marketing strategies have become less effective, because of this marketers are now using a more effective inbound marketing strategy instead. The inbound marketing method ATTRACTS BUYERS TO YOU by providing more intriguing and educational content that aligns with what buyers want and need to positively influence their decision-making process. Give your potential buyers a mix of fun tips and tricks with high-quality content based on their customer interests that will speak to them throughout every stage of their buyer journey to get better qualified leads and sales. Inbound marketing helps you attract customers with content designed to attract qualified prospects, convert them into leads and customers, and grow your business. Inbound marketing is all about sharing educational content in the right place at the right time, through blog posts, podcasts, search engines or SEO, social media, etc, to make your business more credible and easier for potential customers to find. The average cost per lead drops 80% after 5 months with the use of inbound marketing. With outbound and inbound marketing tactics, businesses can easily convert visitors into leads and finally learn how to nurture those leads until they become loyal customers. Businesses have greater opportunity to find their ideal target audiences and find more qualified leads when marketers truly understand their customers demographics, roles and pain points. Buyer personas are a critical part of the inbound marketing method. Buyer personas give you actual data about your buyers' decisions and give you insight on what happens throughout their buyer journey -- how they found you and why they chose you. When inbound marketers are trying to develop buyer personas, you want to start by asking your current customers questions about their demographics, goals, and challenges to start building out their personas. Tip: You want to have informative content that speaks to every type of persona through every stage of the buying process. To be a truly successful inbound marketer you have to take the time to analyze your marketing campaign and figure out how to optimize what is working well and how to implement new solutions to fix what isn't generating results. The inbound methodology drastically improves marketing efforts and the overall customer experience. Your potential customers are already searching for answers online and looking for products and services to buy, so start attracting potential customers now and go give them the content they want and need! Inbound is the future of marketing!